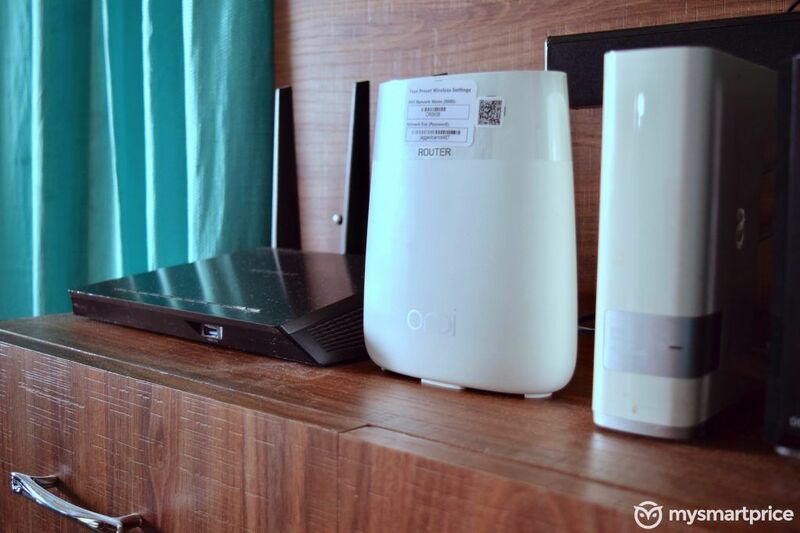 Mesh Wi-Fi routers have started to become popular, especially among consumers who have larger apartments or multi-storey homes and face Wi-Fi dead zones. 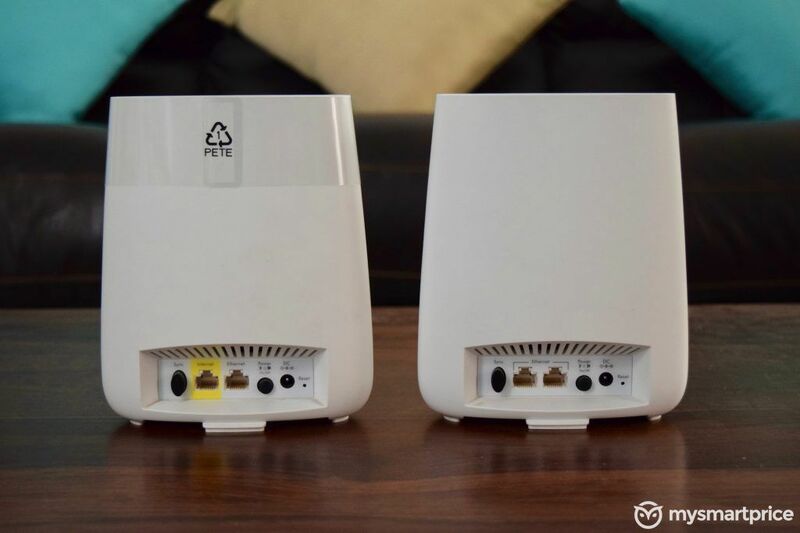 Mesh Wi-Fi routers cure these dead Wi-Fi zones by essentially using multiple Wi-Fi access points acting together to create a much larger and stronger Wi-Fi network compared to traditional, single-point point Wi-Fi routers. 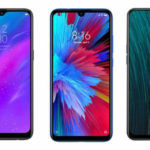 All the devices registered to the Mesh Wi-Fi network automatically connect to the nearest Wi-Fi access point for the strongest signal, thereby eliminating weak connections. We’ve seen a lot of big-name brands release mesh Wi-Fi routers in 2018, including ASUS, Google, Linksys, Netgear, Samsung, and TP-Link. Netgear’s Orbi (RBK50) was its first mesh Wi-Fi router, but it was pretty expensive and out of reach for many. Later, the company released an entry-level variant—Netgear Orbi (RBK20)—a 2-pack whole home Wi-Fi system that uses mesh Wi-Fi networking and costs just $229 (INR 15,000 in India). The Netgear Orbi RBK20 package comes with one router (RBR20) and one satellite unit (RBS20). It claims to cover an area of 250m² (2690 square feet). You can add more satellite units for $149 each, at a later stage. 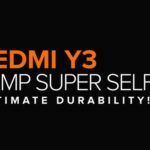 If you have a larger home, you can get the 3-pack system (RBK23), but it will cost more. So, is the Netgear Orbi RBK20 good enough to replace your single unit Wi-Fi router and is it for you? Let us find out in our review. 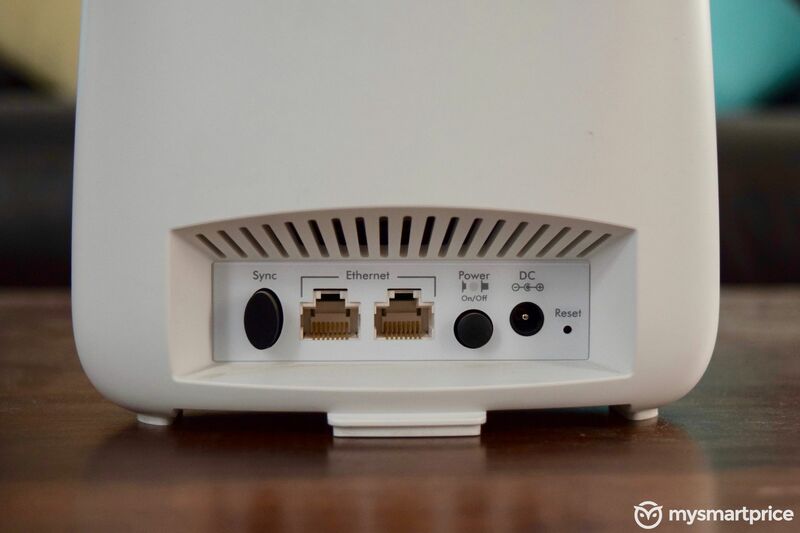 The Netgear Orbi RBK20 is a tri-band AC2200 Wi-Fi ac router, but you should see it as a dual-band router since one of those three bands (Fast Lane 3) is solely used to connect between the router and the satellite. One 2.4GHz channel (400Mbps) and one 5GHz channel (867Mbps) is used by devices, while the other 5GHz channel (867Mbps) is used by the router and the satellite to talk to each other. 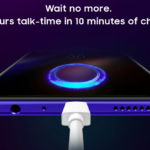 They’re also compatible with Amazon Alexa and Google Assistant, so you can say things like “Alexa, turn on the guest network” or “Alexa, reboot the router” or ask “Okay Google, what are my Wi-Fi settings” or “Okay Google, what is my guest network password?” It also features Circle with Disney compatibility for smarter parental controls. In terms of design, both the router and the satellite have a similar design and come in White. They are slightly taller than the Amazon Echo but are thinner due to their oval shape (when viewed from the top). They measure 142×61×176.6mm in dimensions and weigh 476g. There is Orbi branding at the front, ports are at the rear and an oval-shaped LED light ring at the top. The router features one Gigabit Ethernet WAN port (yellow colored) and one gigabit Ethernet port. The satellite unit has two Ethernet ports. Both units have power and sync buttons, reset pinhole and DC power input ports. The router unit has a blue-colored top, so it is easier to differentiate from the satellite. 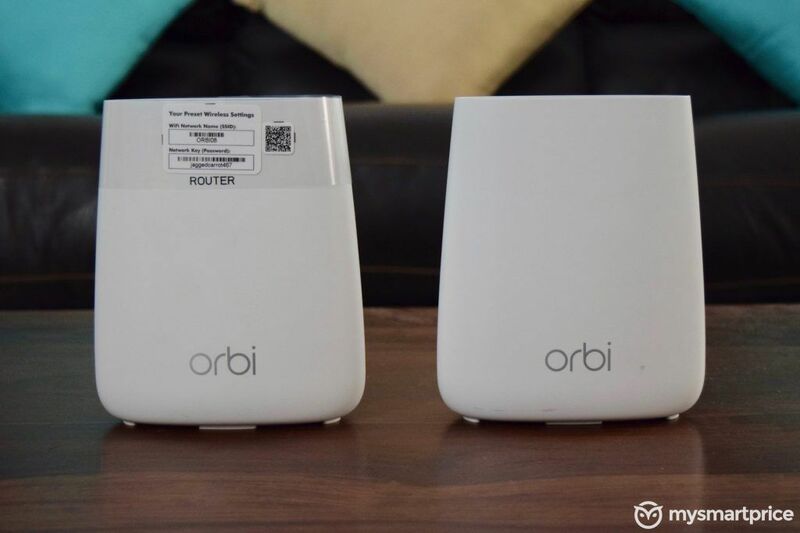 It also comes with a sticker that has the router’s network name, default password, and a QR code for downloading the Netgear Orbi app. The power adapters are pretty large, though, and some people may face problems due to their size. There’s not even one USB port on either the router or the satellite. My five-year-old Netgear R7000 has two USB 3.0 ports for downloading torrents or turning the router into a UPnP media server. This could be a huge missing feature for some. The box comes with the router, satellite, one 2m Ethernet cable, two 12V 1.5A power adapters for DC input, and a quick start guide. Since my apartment is just 1500 square feet in size, I also tested it at my in-laws’ two-storey home which gave me a much better view at the Netgear Orbi’s performance over a larger area. Once you connect the Ethernet internet cable and turn on the router, it takes a few minutes to initialize. 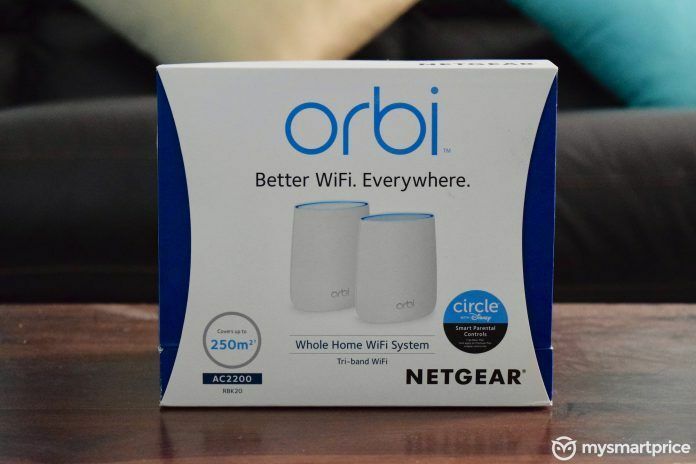 You can then continue setting up the router using the Netgear Orbi smartphone app or by visiting orbilogin.com using the web browser, which essentially redirects you to 192.168.1.1. Although the setup experience using the app is easier, it lacks a lot of advanced features which you can access through the web interface. I used the PPPoE feature for logging into my broadband ISP’s account. During the setup, you would be asked to change the password from the default passphrase to the password of your choice. Clicking on each of these widgets takes you to the respective sections of the admin page. Here are the sections in the Basic tab. Internet: Add PPPoE login credentials and configure IP address, DNS server, and MAC address. Wireless Settings: Configure Wi-Fi SSID, wireless network security and set Wi-Fi password. Attached Devices: Shows attached wired and wireless devices (along with their names, status, IP address, MAC address, connection type and whether they are connected to the router or the satellite. Similar information about connected satellite units is also displayed on the same page. Parental Controls: Circle with Disney configuration. You can set up parental controls. Guest Network: Enable/Disable guest network and set up guest network password. 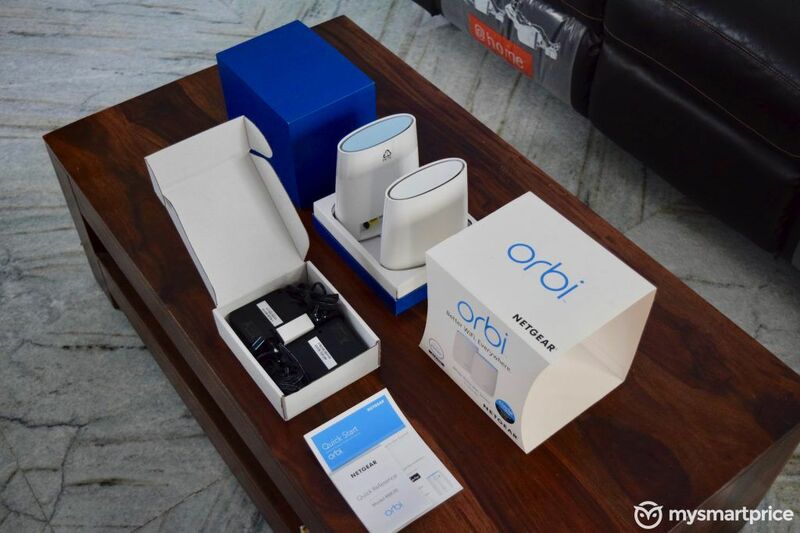 Add Orbi Satellite: It shows all the steps you need to take to set up an additional Orbi satellite unit. Here are all the sections in the Advanced tab. Setup Wizard: Starts the Netgear Orbi setup wizard which takes you through an easy process to set up the Orbi whole home Wi-Fi system. Email: Send security related notifications via email. There is not even a single feature that’s missing in the router’s software. However, I think that the setup process is not as easy as it should be. Moreover, if you want to completely reset the router, the process is not easily explained in the manual. Moreover, the LED indicators at the top of the router and the satellite are harder to understand as each of them has different indicators. I couldn’t test the Alexa or Google Assistant related features of the Orbi since I couldn’t add the router to my Netgear account. For some reason, the registration process said that the review unit that I received from Netgear was already registered to another person’s account. Unless they would remove it from their account, there’s no way I could add it to my account. 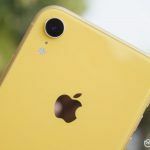 If you want to set it up with Google Assistant, just open the Google Assistant app on your Android or iOS app and say “Okay Google, talk to Netgear,” which would then ask you to link your Netgear account to your Google account. It should be pretty simple. I used to have frequent connection issues in my home since my single-point Netgear Nighthawk R7000 had started to show its age. Unlike four years ago when I had just 5-6 devices, I now have more than 30 devices in my home, which have started to burden the R7000. 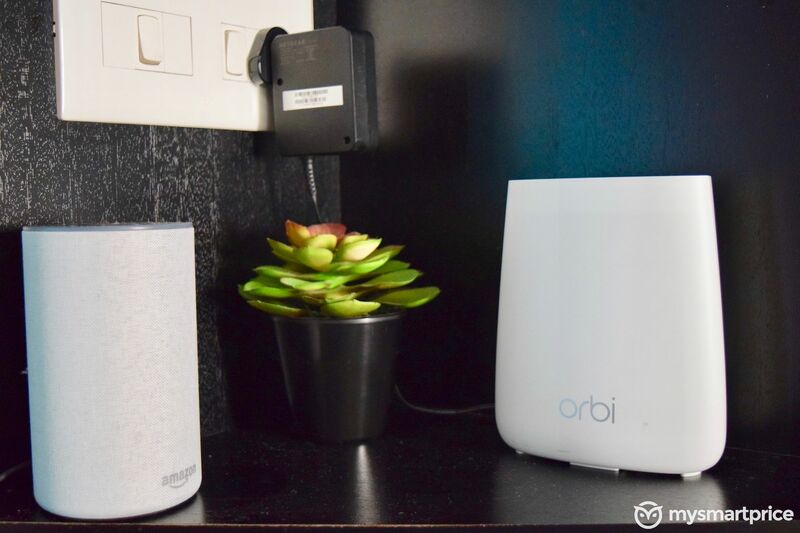 However, ever since I shifted to the Netgear Orbi, the immediate change that I noticed was that I did not have a single connection strength or connection stability issue over the course of one month of testing. All my devices showed full Wi-Fi network strength at all times. I never had to restart the router to resolve connection issues. 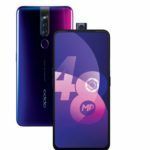 Most of my main devices such as consoles, PCs, laptops, and phones were connected to the Orbi through the 5GHz band, while devices like Chromecasts and smartwatches were connected using the 2.4GHz band. All my family members are big on music and video streaming, and I never noticed any issues while streaming online (Hotstar, Netflix, YouTube) or 1080p/4K local (Plex Media Server through Synology DS218+ NAS) video streaming through the Netgear Orbi. For a more synthetic test, I used Tomasoft’s Throughput Test software. 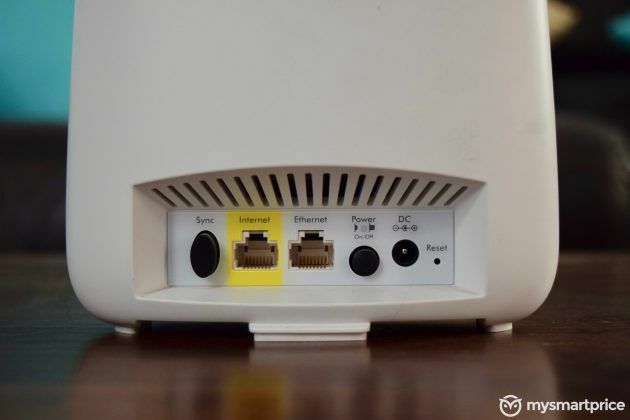 I ran the server on my work PC which was connected to the Orbi wirelessly via the 5GHz band, while the client was running on my MacBook which was connected to the Orbi wirelessly via the 5GHz band. Then I tested download and upload speeds (without disconnecting other devices in my home) at 2.5m, 7.5m, and 10m distances from the Orbi. Since I did not have any other Mesh Wi-Fi router handy to compare with the Orbi’s speed, I had to compare the results with my Netgear R7000. You can see the download and upload speed results and the comparison numbers in the chart below. The Orbi maintained a download speed of close to 150Mbps and upload speed of over 100Mbps inside the same room. The download and upload speed dropped to 121.7Mbps and 70.3Mbps, respectively when I was in the next room. When I shifted to a room which is 15m away from the nearest wireless access point, the download and upload speeds dropped to 72.89Mbps and 45.9Mbps. 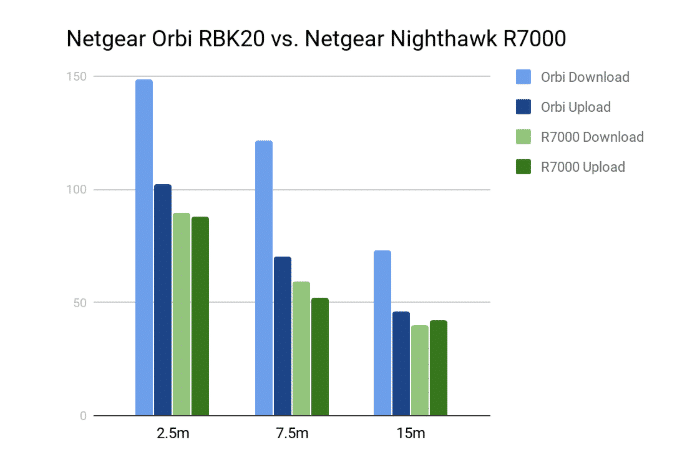 You can see comparative download and upload speeds of the Nighthawk R7000 in the same chart, and you can notice that the Orbi was consistently offering faster download and upload speeds. Should You Buy the Netgear Orbi (RBK20)? 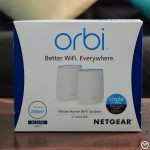 If you have a large home with a lot of dead Wi-Fi zones, the Netgear Orbi is an excellent solution that consistently offers faster download and upload speeds compared to single-point Wi-Fi routers. Connected devices seamlessly switch between the router and the satellite, depending on the distance and network strength. The companion smartphone app is easy to use and Alexa/Google Assistant integration is like icing on the cake. I sorely missed a USB port, though. While I have just one device (Synology DS218+ NAS) in my home that needs to be connected to the router using Ethernet, I think there will be some consumers who will face the issue of limited Ethernet ports on the Orbi. Collectively, the router and the satellite have just three Ethernet ports. This is 2019, damn it! Moreover, the status LED lights are confusing and dim. And the setup process is harder than it should be (once you reset the router). If you want to switch to a Mesh Wi-Fi router and don’t want to spend more than $220 or don’t care about USB port or a lot of Ethernet ports, the Netgear Orbi is a great package to invest in.